Female zebra finches (Taeniopygia guttata) see male beak colors as either red or orange, and prefer males with red beaks, according to a study published August 1 in Nature. 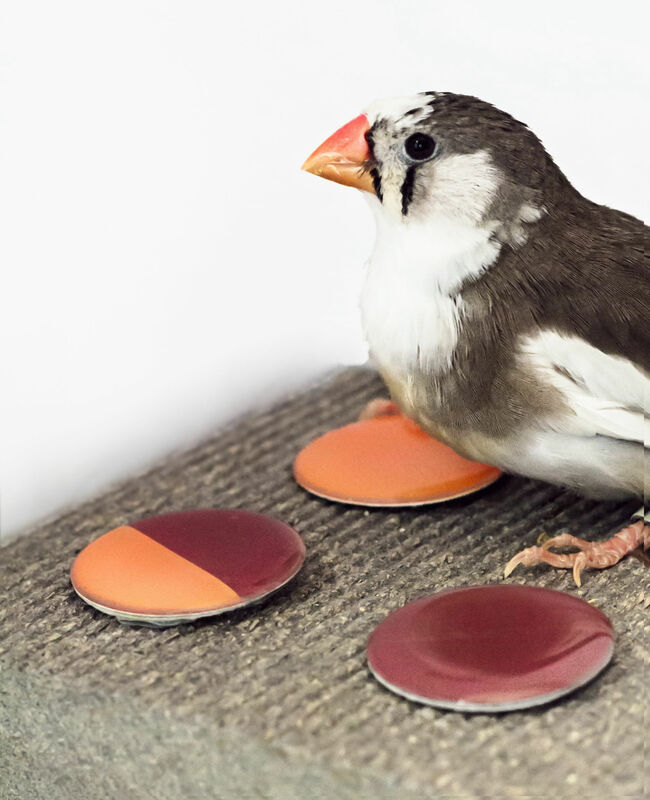 As male zebra finches have a beak that varies from the orange to red spectrum, researchers wanted to see whether the females perceive the gradation or see the colors distinctly. They presented the birds with single and bicolor paper discs, and taught them to flip what they perceived as the bicolor discs. The finches more easily distinguished between two different colors than two different hues of the same color. E.M. Caves et al., “Categorical perception of colour signals in a songbird,” Nature, doi:10.1038/s41586-018-0377-7, 2018.